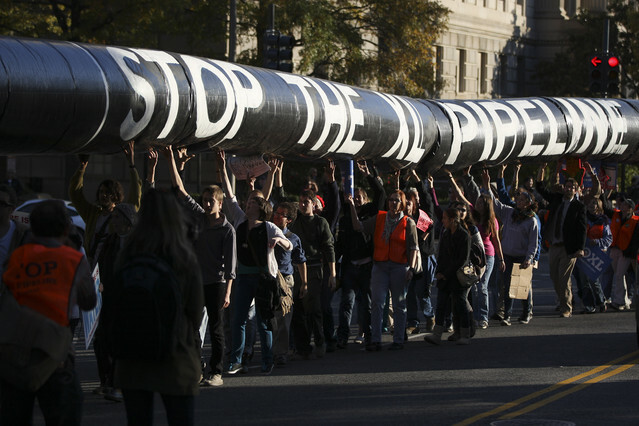 Keystone XL. You may have heard this name thrown around, but what’s the big deal, and why is it still causing such fierce opposition? 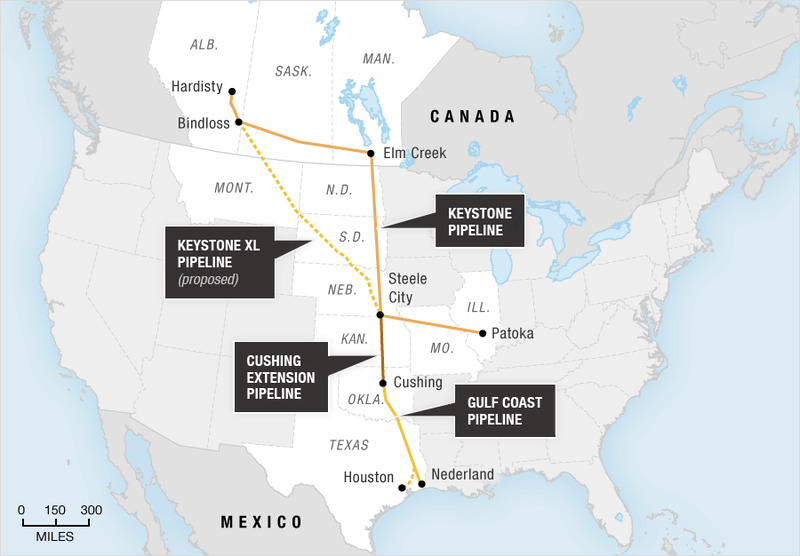 The XL project, proposed back in 2008 by TransCanada, would modify the existing Keystone pipeline that runs crude oil from both Canada and the US to refineries on the Gulf Coast. This would significantly shorten the travel distance and increase oil throughput. However, the environmental impact of the new line is still hotly debated. While the project technically remains in legal limbo, it seems more and more likely that it will go ahead. The question remains, should this new oil pipeline have been approved in the first place? No Longer Just a Pipe Dream? From a utilitarian standpoint, the new pipeline undoubtedly represents a benefit to the majority. Oil remains a fundamental source of energy within the US. Economically, the US state department estimated that Keystone XL would contribute $3.4 billion to US GDP, 28,000 construction jobs and generate over $100 million in tax revenue over its lifetime, money which could be invested into education, health and infrastructure. Surely the negative impact of Keystone on a few farmers and Native Americans is a sacrifice for the greater good? According to Kantian ethics, the project can be considered morally justified, as an action is morally right if it conforms to a certain moral rule, law or norm. Numerous pipelines have been completed across America in the past; Keystone is by no means an exception. Virtue ethics consider the moral character of the actor rather than the action itself. The pipeline would reduce the US’ dependence on oil imports, particularly from unsavoury sources in the Middle East, a virtuous result whereby America would provide less economic support to unethical countries. When it comes to pipeline demonstrations, it is easy for the side protesting to be instantly labelled as virtuous for tackling a “death sentence” pipeline. However, don’t be fooled by their high horse – is what they are fighting for based on a foundation of hypocrisy? It is likely they made use of fossil fuels to travel to the protest, and will unashamedly continue reaping the benefits from oil when they return home. The irony of the situation is illustrated by the beautiful example of protestors shackling themselves to White House fences to protest the pipeline, using cable ties, produced from – surprise surprise – oil based products. Care ethics highlight the importance of stakeholder relationships, where all parties impacted by the consequences of a choice deserve equal consideration. Regarding the relationship between TransCanada and the environment (a contentious topic due to the ever increasing threat of climate change), pipelines remain the most environmentally friendly and safest (see table) mode of transport. While the pipeline does carry a risk of incidental oil leaks, compared to the alternatives, this risk could be considered morally justifiable. In addition, the possible repercussions of using non-pipeline transportation can be disastrous – an oil train derailment in 2013 in Quebec decimated a town, killing 47 people. In any case, preventing the pipeline won’t stop the production of oil from the Athabasca Tar Sands. This oil would instead be shipped through Canada and exported to China, meaning the profits for the US would be lost, returning us to the original utilitarianism argument. Pipelines may seem like a comparatively safe way to transport crude oil, but since 1986, accidents in the US show that they have resulted in 536 casualties and clean-up expenses exceeding $6.75 billion! The previous argument of utilitarianism overlooked any of these long-term effects on future generations. Since we cannot predict the future, we cannot determine how many people will be affected by the defacing of indigenous sacred sites, deforestation, destruction of fragile ecosystems, contaminated water and air pollution from oil refineries. And is it just about people? Biocentrism, the latest nature-based approach to morality, broadens intrinsic value to every living essence and argues that it is of vital importance to protect the environment. Is the moral high ground to this industrial planning held by ignoring sustainable alternatives? This relates to ethics of care, as intergenerational equity and America’s renewable energy future are being disregarded for a profitable means to an end. The Native Americans and indigenous Canadians affected by the pipeline are defended by the universalizability principle of Kantian ethics. The corporate decision-makers do not experience the consequences of their course of action, such as the health concerns of those in proximity of potential oil spills. Furthermore, there have been numerous instances of TransCanada suing those that have refused consent to pipeline installations on their property. A 78-year-old Texas landowner since 1983, Eleanor Fairchild, refused to sign the required agreement, and had her land seized by eminent domain. Concerning the reciprocity principle, the social standard of mutual exchange, landowners should be entitled to make an autonomous decision without external pressure from huge energy firms. It is unjust that TransCanada can force powerless landowners to relinquish their land against their will, using them as a mere means to increase their oil-carrying capacity. The key question here is this; who are the actors in this situation, and what are their respective cultural virtues? Those pursuing the pipeline development fundamentally come from a capitalist, establishment and profiteering culture, with positive virtues such as democracy, bravery, ambition and freedom. However, from a more critical perspective these capitalist principles can degenerate to callousness and greed. Is it democratic to rob land from its owner? Is it brave for the police to use water cannons, tear gas and rubber bullets on elderly Native Americans? Is it ambitious to pursue a finite energy source that will condemn generations to come when there are other options? Is a society free when its people have no choice whether their water is poison or not? The least the profiteers could do is apply the Golden Mean of these extremes and ensure the pipeline is safe. However, reality is never so balanced. In this case, it is clear from the actions taken by the individuals that they do not have a virtuous character. We believe the benefits are worth the risk, and it was correct to approve the pipeline. What is your opinion? Add your thoughts below! live away from oil-based products? I agree that TransCanada should be held accountable, and they would have measures in place to protect both local land owners and the environment. Whether these measures are enough, however, is certainly debatable, and perhaps more could be done to ensure the safety of the system and reduce the effects of any leaks. It should be accountable regardless of the profit it makes. 100% so why not advocate for the oil transportation method that has the least amount of oil spills? Why isn’t it? The main arguments being put forward against the pipeline are that we need to move away from fossil fuels and that a pipeline is just continuing the infrastructure and making that harder. This completely ignores the fact that the oil is going to be transported no matter what, those slightly cheaper transport costs likely aren’t going to be passed onto the consumer and lead to more demand. They’re protesting for NIMBYism while using the fossil fuel products every day. This is a tough problem, but with the nature of the American government (and especially Donald Trump’s brazen disregard for the consequences of climate change), I don’t doubt the fact it would have been approved eventually. I think the argument that the oil will be produced regardless of the new pipe is the most compelling to justify its construction. As oil will likely remain a key energy source for the near future, the oil providers will never shut/ramp down production while there remains a market. While I’d imagine that most of the people protesting XL from a global environmental perspective don’t fully appreciate this point, they do have good reason to protest the way this particular project has been implemented. Especially as, no matter what the pipe engineers say and how advanced their detection technology is, there will always be leaks and damage to the surrounding area. I liked this article. There was a lot of good citation and very good ethical argument. From a personal point of view, I am against Keystone XL as it is contributing to a continuing dependence on fossil fuels – the money could be better invested in renewables. From a practical point of view, however, making a gradual change to a post-fossil fuel economy is best, and the map makes a very clear case for. America is a vast country with many, many of its citizens dependent on cars. Utilitarianism would favour this decision, as would Kant’s theory. It’s an excellent choice of topic and nicely presented. I liked it! The questionable ambition of pursuing “a finite energy source that will condemn generations to come” was highlighted well and I was wondering if the impact on future generations was taken into account when using the utilitarian framework? Although I think it would be difficult to quantify the suffering incurred by the future population, as the effect of climate change would be felt by all peoples of Earth does their sheer number not outweigh the benefits of the pipeline? I agree that capitalism can degenerate into greed fuelled indifference. Investing further into the oil market by building this pipeline would make companies less inclined to allow a smooth transition into a greener energy source due to their sunk costs. I believe that companies bullying farmers for their land only scratches the surface of their potential in inhibiting meaningful market change. Although I sadly think the pipeline being built was an eventuality, I would argue it should not have been done as it does not help humanity battle climate change and will lead to greater suffering in the long run. What an interesting Article however I must say that I disagree on the base assumption that oil is essential for our modern economy ! The very contemporary protests happening right now in the capital of the UK show that this fossil fuel based economy is not tenable for the future !